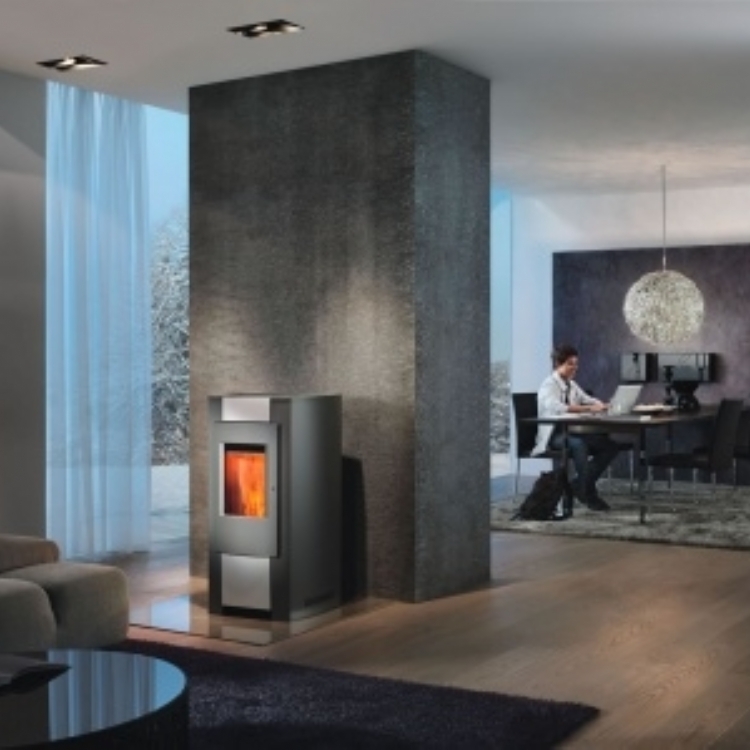 Rika Look Modern Woodburner wood burning stove installation from Kernow Fires. 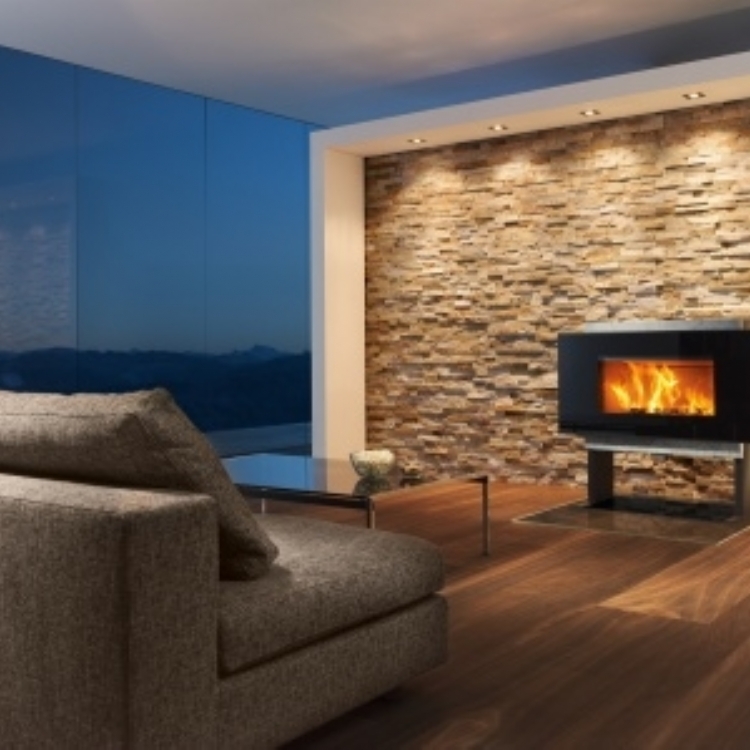 The Rika Look was chosen by these customers for it's unusual shape which looks fantastic against the wood panel wall of their home. 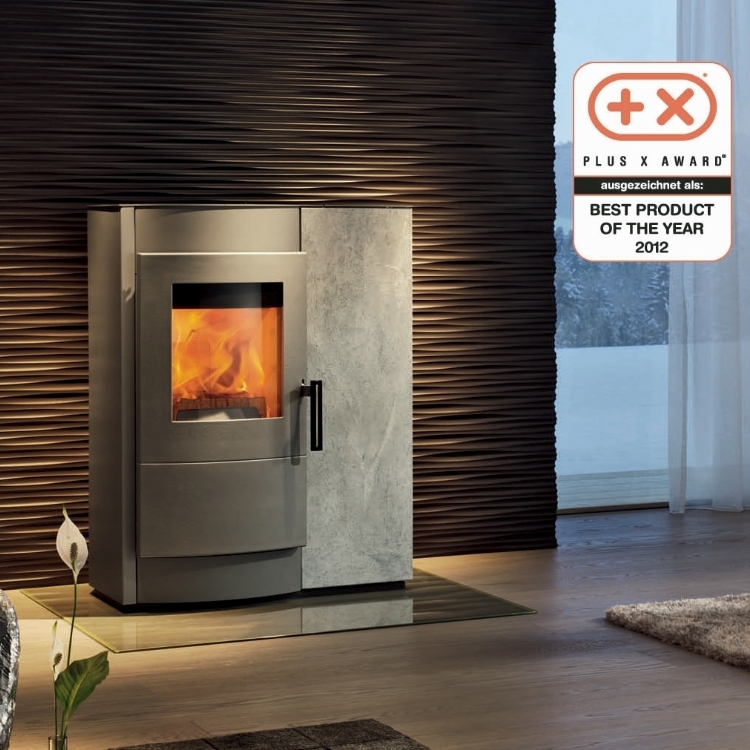 The Charnwood Vlaze heat shield behind the stove protects the wood from the heat created by the fire. 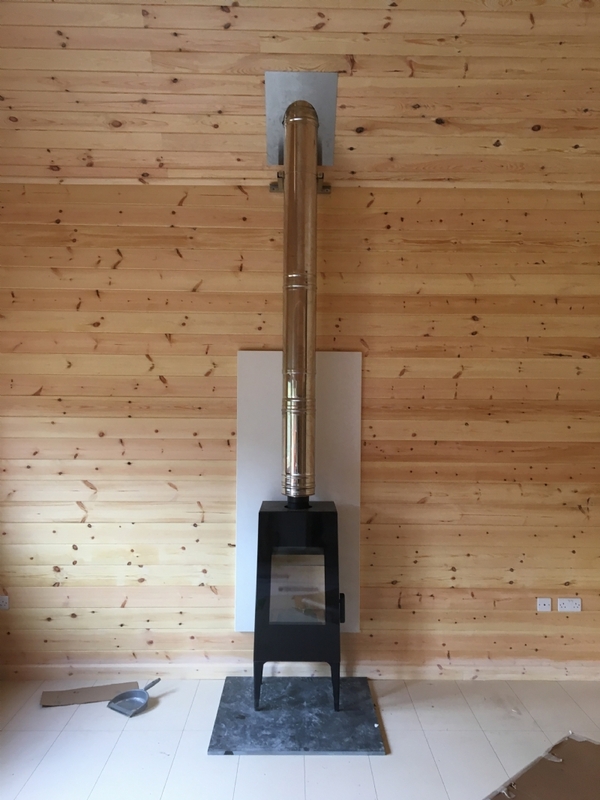 The wood burner is sat on a simple honed slate hearth and the twin wall flue has been left stainless steel.